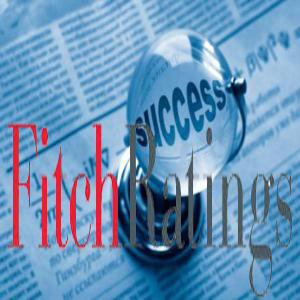 Fitch Ratings-Bangkok/Singapore-29 October 2018: Fitch Ratings has affirmed Muang Thai Life Assurance Public Company Limited's (MTL) Insurer Financial Strength (IFS) Rating at 'BBB+' (Good) and National IFS Rating at 'AAA(tha)'. The Outlooks are Stable. Fitch expects MTL to have a stable business profile over the medium term, supported by its large operating presence as Thailand's second-largest life insurer by total premiums, strong distribution channels, and close operational and technical support received from its major shareholders, KASIKORNBANK Public Company Limited (KBank, BBB+/Stable) and Ageas Insurance International N.V. (A/Stable). The agency believes the company will maintain reasonable capital to cushion downside risk and meet the higher capital required by Thailand's second-phase risk-based capital (RBC) framework to be implemented in 2019. MTL's healthy capital position is reflected in its RBC ratio of 385%, which is well above the 140% local regulatory minimum, and its 'Strong' result in Fitch's Prism Factor-Based Model (FBM) at end-1H18. These are also underpinned by a moderate asset-risk profile and sound profitability. A slight increase in risky invested assets is possible over the short term as the insurer seeks higher returns. MTL's stock investments rose to about 11% of total invested assets at end-1H18 (2014: 9%), in line with other local industry peers. The insurer's investment risk should be mitigated by its prudent policies to balance returns, risks, and the required risk charges. The company still holds a quality bond portfolio with 64% of total bond investments in government and state-owned enterprise securities. Fitch expects MTL to have a sound earnings profile over the medium term, driven by prudent underwriting practices and stable investment income. MTL's three-year (2015-2017) average pretax return on assets of 3.1% is higher than Fitch's expectation for 'A' to 'BBB' rated insurers. MTL's slower premium growth follows its strategic shift towards smaller-ticket protection products and a decline in bancassurance sales, which have been affected by the muted economy and the regulator's stricter supervision over sales procedures. - However, should Fitch adopt the criteria proposed in the exposure draft published on 4 October 2018, Fitch will eliminate the 'top-down' sovereign rating constraint and substitute an enhanced 'bottom-up' analysis of country risk. MTL's ratings may be considered for an upgrade, given its existing financial fundamentals and business profile.